Il est important que l'on agisse de façon responsable. It is important for us to act responsibly. Il est important que les enfants ne fassent pas de bêtises. It's important for the children not to misbehave. It's necessary for you to understand this lesson. 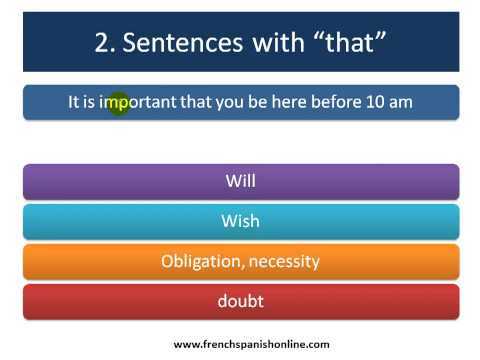 Note that when using expressions for general opinion such as "It is important for <someone> to <do something>", in French you will use the structure Il est <adjective> que followed by Le Subjonctif. Il est inutile que tu sois là. There's no point you being there. "It is not necessary that"
(I'm afraid I can't remember the French question, but this was how I read it in English. )Why is this in the subjunctive? It seems to me to be a fact that the obligation is not needed. Thanks for the explanation.